If you know any lawyers and have talked to them about their career, they likely go over three things. The first is where they went to law school. The second is when they passed the bar exam, and the third is the first firm they started working for. In my case, I started working for O’Connell and Aronowitz (check out OA Law’s website). You might personally relate to getting an education and joining the professional workforce, but you might also wonder what exactly is the bar exam for aspiring lawyers? Each state has an association, called the bar, that determines the standards someone must meet in order to be a lawyer. Individuals must be active members of the bar of their state in order to practice law. That holds them up to specific legal, professional, and ethical standards they must uphold themselves too. Otherwise, they risk getting ‘disbarred’ and would be prevented from legally practicing law in that state. In order to join the bar of a state, an aspiring lawyer must pass the bar exam. The actual contents of the exam vary from state to state, but it generally is a chance for them to demonstrate their knowledge and proficiency of the laws of that state, as well as an opportunity to convince existing lawyers of their worthiness, character, and fitness to practice the profession. Passing the bar exam is often all that is necessary to become a legally practicing lawyer in the field; however, law school is not actually a necessity in most states, since it is just a matter of passing the exam. 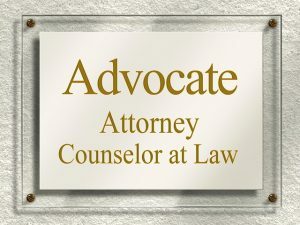 Having said that, the purpose of law school is to prepare a student for passing the bar exam and joining the bar as a fully capable and knowledgeable professional, so those who go to law school usually have far higher chances of passing the bar exam and becoming successful professionals than those that self-study.